One of downsides of a society that has encouraged women to focus on career and put off having children until they’re established is that many women are not prepared for the gut-wrenching desire to stay home and raise their children full time. Probably the most immediate concern is, can you afford to stay home? If you are already counting pennies during your weeks away from work this can be an extremely difficult area to navigate. However, if you feel passionate about staying home consider where you might cut back on living expenses; can you downsize your home or car? Get rid of cell phone payments or reign in your spending habits? Also consider the cost of daycare, which is usually higher for infants than older children. Take the cost of daycare combined with work related expenses (lunches, clothing, gas, etc.) and subtract it from your monthly income. You may be surprised with how little you actually bring home at the end of the day. No one can give you a guarantee here. It isn’t great for a career to go on hiatus for a lengthy period of time, but that doesn’t mean it can’t be done. Depending on your career path you may try to upgrade your education prior to returning to the workforce. Perhaps you could even become a contractor or freelancer when you decide to go back. If you don’t want to get too far away, try finding part time employment in your field as a compromise. If money gets tight because of your decision and you don’t have the support of your partner your relationship is sure to feel the added stress. Combine that with the stress of a new baby and your emotions and esteem are sure to take a blow. Try at all costs to come to an agreement with your partner. Show the cost comparison of working with staying home. 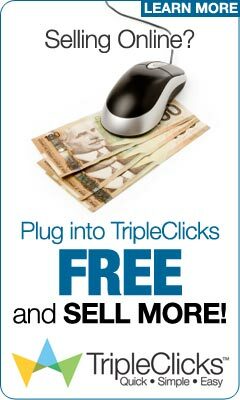 Offer solutions such as finding an online job you can do from home. Be realistic about what you can handle. If you must return to work, consider it temporary until you can make arrangements everyone can live with, it will be worth it. It is possible to have the best of both worlds; you can stay at home with your baby and earn a respectable income.